Dennie is trained to ease your life relationships and unexplained pain. Some of you are dealing with a repetitive relationship with a family member or close friend that is a challenge. 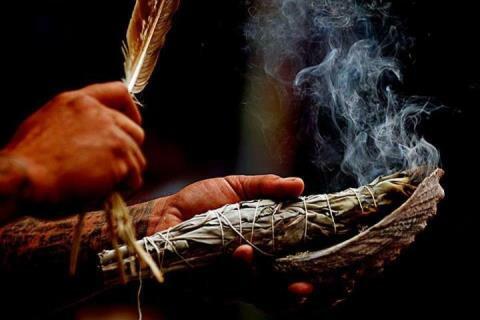 Shamanic Healing is a healing technique that will heal that relationship by getting to the root of the problem, and it has the same results for any physical, mental or emotional pain. Keep in mind, that for the healing technique to be successful, you must be willing to heal it, and by that, intend to let go of it. You may also receive a task to complete your healing process. Akashic Records: Dennie is trained to open your Akashic Records to reveal your past life as it relates to your current life. See why and where the problem exits brings enlightenment and assists you in releasing what no longer serves you in this life for your highest good on your path to reach your highest potential. You can end it forever, today. Please contact Dennie to set up your healing appointment. See the subpage to this one for "PayPal Shamanic Healings"
You will notice subtle shifts in 3-7 days after your healing. Shamanic Healing, Akashic Record opening is done by phone. Payment is required in advance to confirm your appointment. See PayPal subpage for Shamanic Healing. "This happened to be a fantastic decision, and better yet, one that was life-altering! During my healing session I learned of events that transpired in a past life and caused me a great deal of pain in this and other lives since. Remarkably, after the healing my life and world view changed completely. I am spiritually awakened with a greater sense of purpose and clarity. Now I see things as they truly are, helping me to make better decisions that serve my own good.” Andrew S.